2nd QUARTER 2019: A Bessemer & Lake Erie train flies over the Allegheny River bridge, part of our cover story detailing “The Last Big Year” for moving coal from the Union Railroad’s coal dock in Duquesne in 1987. 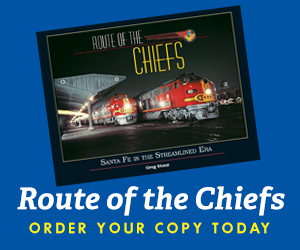 We also feature the Denver & Rio Grande Western’s Farmington Turn, a late-era narrow gauge steam-powered freight from 1964. 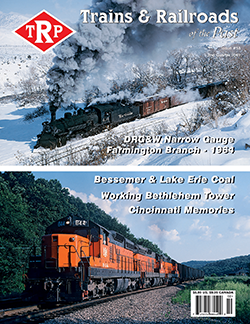 We walk down memory lane visiting relatives and railroads in Cincinnati, and Mike Bednar presents “Lehigh Valley’s Bethlehem Tower,” complete with a track chart and photos of busy freight action around the tower. 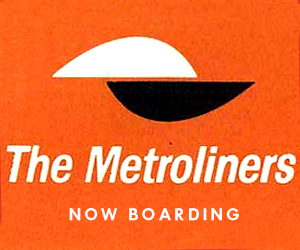 All this and more in the 2019-02 issue of Trains & Railroads of The Past! Write-of-Way — Our readers respond!